Morgan Yoney, one week out of the hospital, sitting at Studio Raw, a North Hills business that helped spread her message across social media and the community. On Dec. 15, 2016, Morgan Yoney’s life changed. She received a phone call in her hospital room – a pair of lungs had become available. Morgan had spent 21 days in the ICU at UPMC Presbyterian Hospital waiting for a lung transplant. “They said I was on death’s doorstep,” Morgan said. 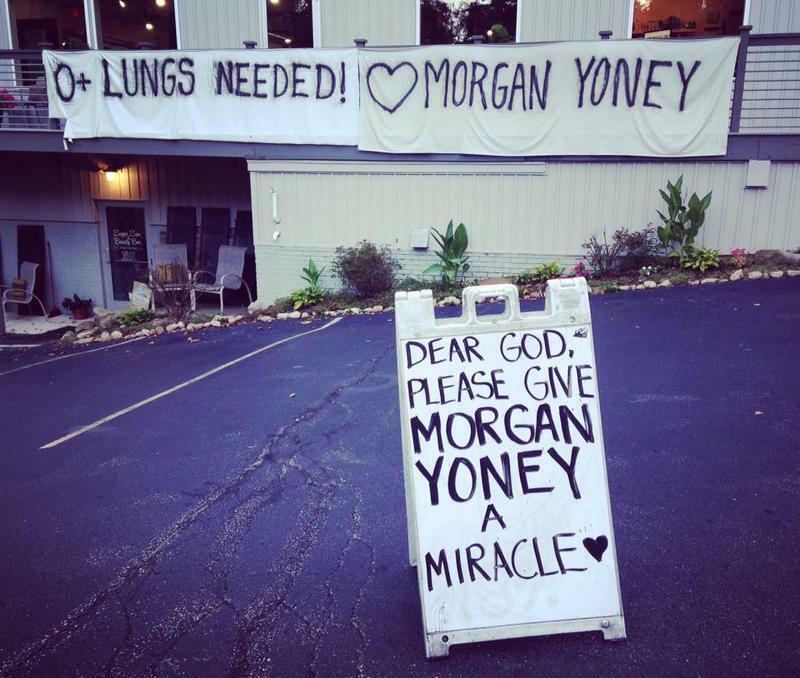 The 22-year-old’s quest for lungs had spread through the region, thanks to the “Morgan’s Army” Facebook page and a campaign by several North Hills businesses. Morgan was diagnosed with cystic fibrosis at 9 months old, but she lived a pretty normal life until the age of 12. In 2010, she had a double lung and liver transplant. In 2013, her body began rejecting the new organs. When treatment for the rejection didn’t work, the family learned she would need another double lung transplant. By December, she’d been waiting about two years. Tammy said she and Morgan’s dad, Bob Yoney, were also preparing for the worst. A banner outside a North Hills Salon used to read "0 Lungs for Morgan Yoney," they've cut off the request, but continue to support her journey. At 5 a.m., the call came. Tammy said she was prepared for the worst. “I was thinking it was the doctor calling us over because something had happened to Morgan," Tammy said. "But it was Morgan and she was like, ‘mom I got the call.'" Morgan was in surgery for nine hours and had a challenging recovery, including one week on a machine that works for the heart and lungs, and a period of time in which they had to keep her chest cavity open. In all, she spent nearly three months in the hospital. 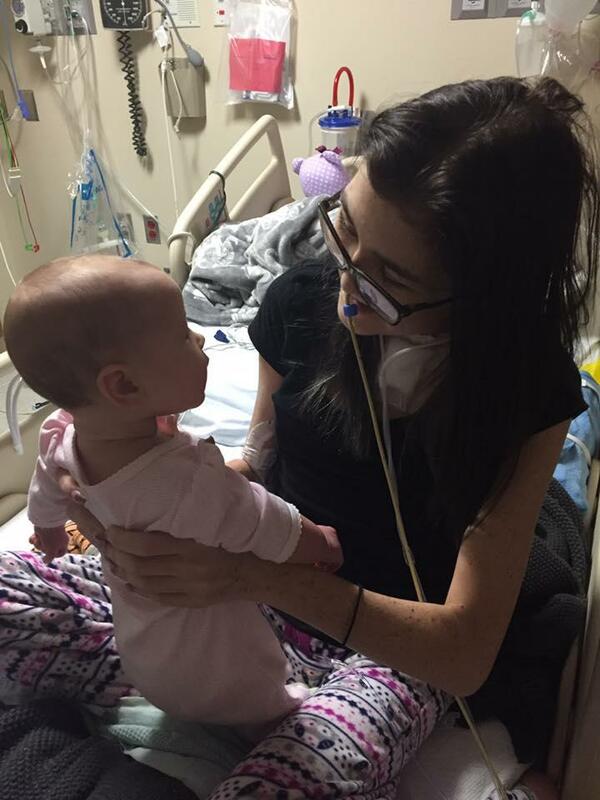 In her first week out of the hospital in February, Morgan had a busy rehab schedule. Her ongoing illness and the numerous medications she was on took their toll on her kidneys and she is in need of a transplant. In the meantime, she’s on dialysis four days a week. Morgan's currently back in the hospital, experiencing complications from dialysis. According to a post on the Morgan's Army Facebook page Monday, a biopsy showed Morgan's body isn't rejecting the new lungs -- a good sign. She also lost a lot of muscle mass during her time spent in the hospital, so she’s also doing physical therapy to regain some of her strength. Morgan said part of the reason she has been so public with her story is to raise awareness around the need for organ donors. Morgan said she is feeling pretty good and looking forward to getting back to her normal, more private life. “There was so much that I couldn’t do when I was on oxygen and stuff, like I couldn’t go swimming," she said. "Just like, little things like being able to drive, like riding horses and stuff – I couldn’t do any of that." She’s also looking forward to being an aunt to her baby niece and being in two of her friends’ upcoming weddings. “I’ll be able to walk down the aisle instead of having to be pushed in a wheelchair or even not being there at all,” she said. But, she’s 22 and impatient about the pace of her recovery. She said she is working to combat that anxiety. After her very public journey, the previously purple-haired Morgan has gone back to brown locks and is focusing on her recovery. “I wanna kind of get back to a normal life so like people don’t notice me,” she said. In the meantime, her mom keeps the Morgan’s Army Facebook page up to date with her daughter’s progress. 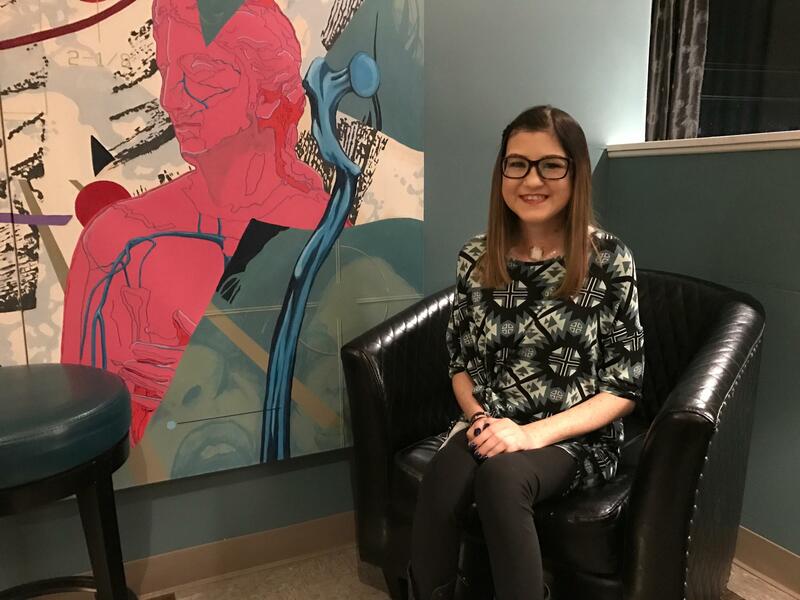 The family plans to continue advocating for organ donation, even after Morgan is fully healed and back to swimming, driving and hopefully, she said, living the life of a healthy young adult. Morgan Yoney’s hospital room at UPMC Presbyterian was dim, even though it was the middle of a sunny day in Pittsburgh. Still, the walls were covered in colorful cards sent by some of the more than 17,000 followers of “Morgan’s Army.” Morgan is currently in the hospital, waiting for a new set of lungs. “Morgan was diagnosed with Cystic Fibrosis at 9 months old,” said her mother, Tammy Yoney. This month, Pittsburgh officials and members of the organization Donate Life are encouraging locals to consider becoming organ donors. According to Donate Life, there are more than 8,000 people in Pennsylvania waiting to receive organ transplants. Most transplanted organs come from deceased donors, but just 46 percent of Pennsylvanians are registered eye, organ and tissue donors. While advocates are working to increase that number, they're also looking for more options to meet the demand. For some, like Steve Debakawitz, that’s a living donor. 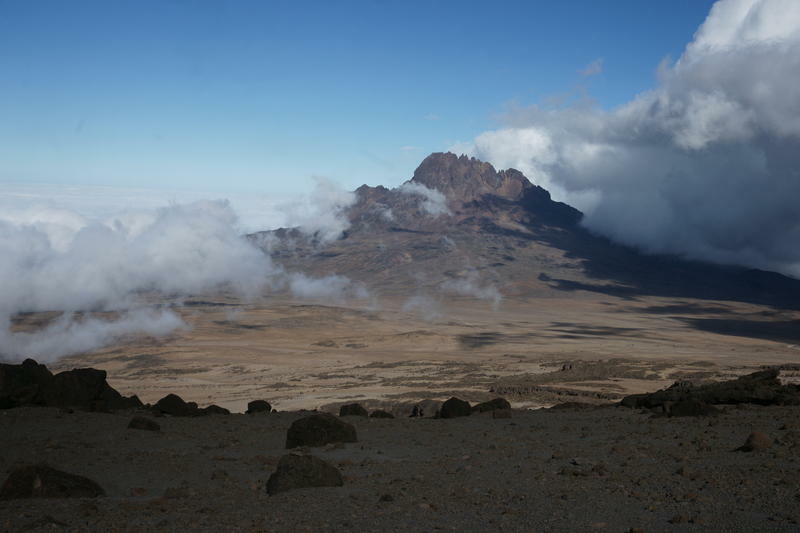 Pittsburgh's Derek Davies is embarking on a journey to Tanzania, Africa to climb Mt.Kilimanjaro. Part of his mission is to raise awareness and money for the Cystic Fibrosis Foundation. Derek Davies joins us to discuss his adventure along with Pat Joseph, Executive Director of the Western PA Chapter of the Cystic Fibrosis Foundation.